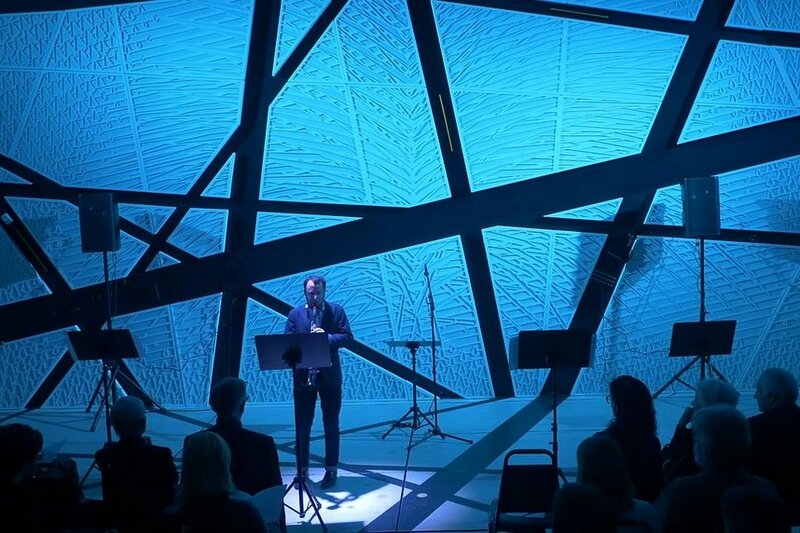 Artistic and General Director Sarah Rothenberg has announced that Joshua Rubin (pictured performing at New York’s National Sawdust) will be the clarinetist for the concert Wartime Stories, scheduled for April 21, 2018. Rubin will join Sarah Rothenberg and members of the St. Lawrence Quartet for Olivier Messiaen’s Quartet for the End of Time. Joshua Rubin is a founding clarinetist and the co-Artistic Director of the International Contemporary Ensemble (ICE), where he oversees the creative direction of more than one hundred concerts per season in the United States and abroad. As a clarinetist, the New York Times has praised him as, “incapable of playing an inexpressive note.” Rubin has worked closely with many of the prominent composers of our time, including George Crumb, David Lang, John Adams, George Lewis, Kaija Saariaho, John Zorn, Magnus Lindberg, Steve Lehman, Nathan Davis, Tyshawn Sorey, John Zorn and Mario Davidovsky.